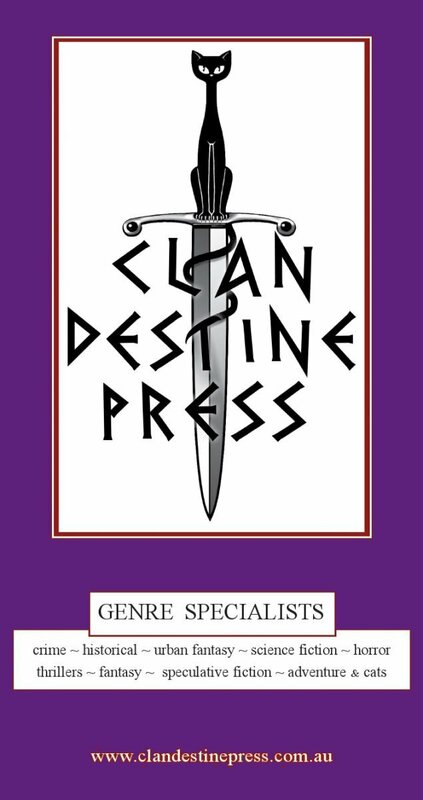 Some exciting news from Aussie pubslisher, Clan Destine Press, with the announcement that they have signed up a number of SuperNOVA authors. 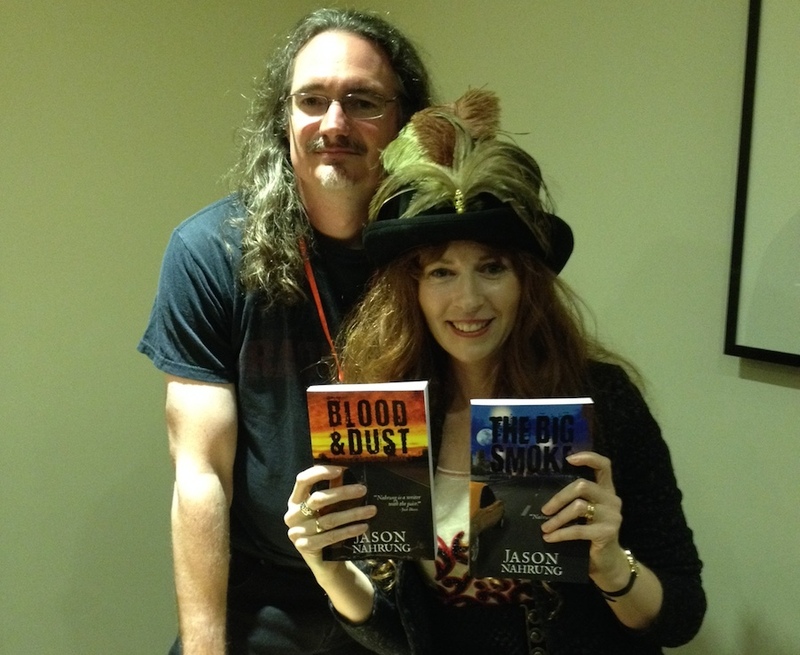 Jason Nahrung, very well known in the darker corners of the spec-fic world, is bringing two action vampire novels to CDP. 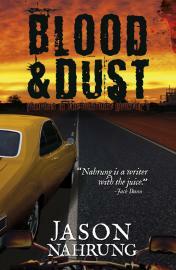 Blood and Dust and The Big Smoke are action-packed very-Australian novels that form the Outback Vampire Mechanic duology. They will be out in paperback and eBook very soon. Pete Aldin – Eventide is just the kind of cross-genre extravaganza that we love here at CDP. It’s a sci-fi crime thriller. Eventide is Pete’s debut novel but he’s been out in the world writing short fiction for a few years and is a member of the Chelsea Dark Fiction Writers’ Circle. David McDonald – Cold Comfort joins the Clan Destine Fictions imprint for short stories and short collections. We’re hoping David has more to add! The first issue of the new Aussie spec fic magazine, Dimension6, is now available for download. The magazine is published by coeur de lion, one of Australia’s finest publishers, and is a free download. Further issues will be released this year, and this new magazine features some of Australia’s finest writers. The first issue contains a story by SuperNOVArian, Jason Nahrung, while editor/publisher Keith Stevenson is also a member of the group. Sent from bustling Sydney to boring country NSW during World War I, life is undeniably dull for Sally. Until she meets Ryder. On a future Earth ravaged by the Event, a soldier with a terrifying secret must travel behind enemy lines. For the undead, blood is more than sustenance. It’s a connection to the memory of life. As part of a new initiative to promote the very best in Australian short fiction, Fablecroft Publishing have launched a new anthology, featuring some of the most acclaimed short stories from the last year. Alongside an incredible lineup is SuperNOVA member Jason Nahrung’s intentionally recognised The Mornington Ride. Congratulations to Jason for another well deserved accolade! We are very pleased to announce that Focus 2012: highlights of Australian short fiction is now on sale! This ebook-only special anthology is the first of a series of yearly collections which will collect the previous year’s acclaimed Australian works. Containing only the most recognised speculative work of the year, Focus 2012 packs a big punch, for just $4.99USD. Focus 2012 is available from your favourite ebook seller! 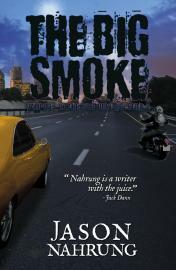 Congratulations to SuperNOVA member Jason Nahrung for his nomination for the WSFA Small Press Award for Short Fiction! 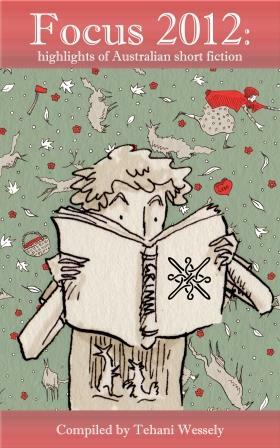 The WSFA Small Press Award honors the efforts of small press publishers in providing a critical venue for short fiction in the area of speculative fiction. The award showcases the best original short fiction published by small presses in the previous year (2012). An unusual feature of the selection process is that all voting is done with the identity of the author (and publisher) hidden so that the final choice is based solely on the quality of the story. “Astrophilia” by Carrie Vaughn, published in Clarkesworld Magazine, edited by Neil Clarke (July 2012). “The Bookmaking Habits of Select Species” by Ken Liu, published in Lightspeed Magazine, edited by John Joseph Adams (August 2012). “Bottled Spirits” by Pamela K. Kinney, published in Buzzy Mag, edited by Laura Anne Gilman (June, 2012). “Coca Xocolatl” by Lawrence M. Schoen, published in ReDeus: Divine Tales, edited by Robert Greenberger and Aaron Rosenberg (Crazy Eight Press 2012). “Good Hunting” by Ken Liu, published in Strange Horizons, edited by Brit Mandelo, An Owomoyela, and Julia Rios (October 2012). “Mornington Ride” by Jason Nahrung, published in Epilogue, edited by Tehani Wessely (Fablecroft Publishing June 2012). Jason is following a tradition of Australian writers having strong showing in this award, and we hope that the trend of Australian small press winners continue. As you can see from the names on this very strong list, this is a prestigious award, and is another mark of recognition for Jason’s acclaimed story, Mornington Ride.